So close but so far away, in the best possible way. Talk about curb appeal. From the moment you drive up to the stunning 1981 construction at 240 Meadowlark Drive in Richardson’s Canyon Creek neighborhood, you realize that this is anything but your everyday suburban housing situation. That stone work paired with the landscaped sidewalk? Talk about a dream. And that’s just the exterior. Buyers will be delighted to find that this two-story property has been tastefully renovated to reflect the design preferences of 2019. For starters, the open floor plan allows for maximum entertaining space and just togetherness in general as your family begins to make this house a home. The kitchen has quartz countertops, a six-burner gas range, and extensive storage. It really is the heart of this home. The master suite has also been designed with two people in mind with dual sinks and a large shower with double heads. There is only one closet; however, it is a walk-in. And besides, Marie Kondo has inspired you to purge all of your clothes anyway, right? It also has hardwoods, which just sets the space with a more mature tone. Another legit selling point for this property is the backyard which features a huge pool and spa. There are even Aqualink pool controls so that you can do “all the things” with a touch of a button on your phone or tablet. And remember that gorgeous stone work that won us over up front? It continues in the backyard and adds so much charm to the space. Despite its Richardson address, this property is zoned to attend Plano ISD schools. This might be a particularly positive selling point for those buyers that are in the market for their forever family home who also have public school in mind. But school districts aside, this home has all the makings of a real estate A+. See what we did there? 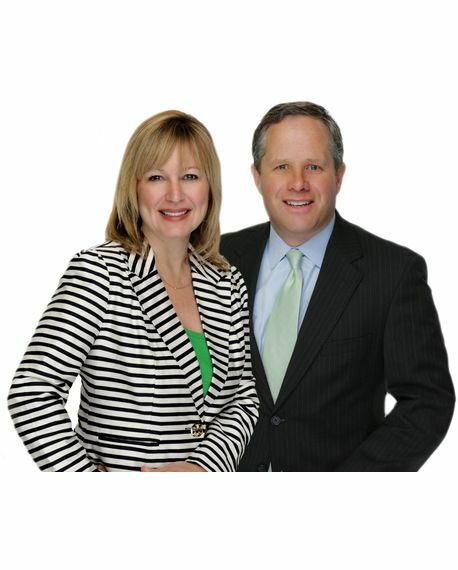 Brian and Tracey Shuey bring more than 30 years of real estate and sales experience in the Dallas/Fort Worth area with over 500 residential closings. Shuey Group was recognized in the Dallas Morning News and D Magazine as one of the top selling groups at Ebby Halliday REALTORS®. The Shuey’s team approach, responsiveness and attention to detail allows them to provide a seamless and stress free transaction for each of their clients. They use the latest technology with creative and aggressive marketing to gain maximum market exposure. Their negotiating skills and unparalleled attention to detail have ensured their success in every transaction. They are seen as the team that can “get it done!”. Brian’s past experience includes years of experience not only as a residential Realtor but also in the development and sale of luxury home communities, farm & ranch properties as well as land acquisition. Tracey brings warmth and personality to any sales experience gained from her years of inside and outside sales exposure. Within one year of becoming an agent, Tracey rose to the top plateau of agents in the company and within 2 years was ranked among Dallas best agents due to her sales background, negotiations skills and tenacity. Her philosophy is to carefully evaluate each client’s dreams and desires and to match them with the perfect property. Brian and Tracey have been married for over 14 years and have two sons. As parents and long-time Dallas residents, they uniquely understand which communities offer the best amenities, civic activities, schools and environments for families. Whether you are a seasoned or first time home buyer, the Shueys will make the buying and selling of real estate uncomplicated while maintaining the highest level of service and professionalism.